After plan A and B of this CMC club trip failed due to high avo risk and snowy road, respectively, plan C suitably had us heading up the Nina Valley to climb the Devils Rampart to find hell in the form of a strong north westerly. 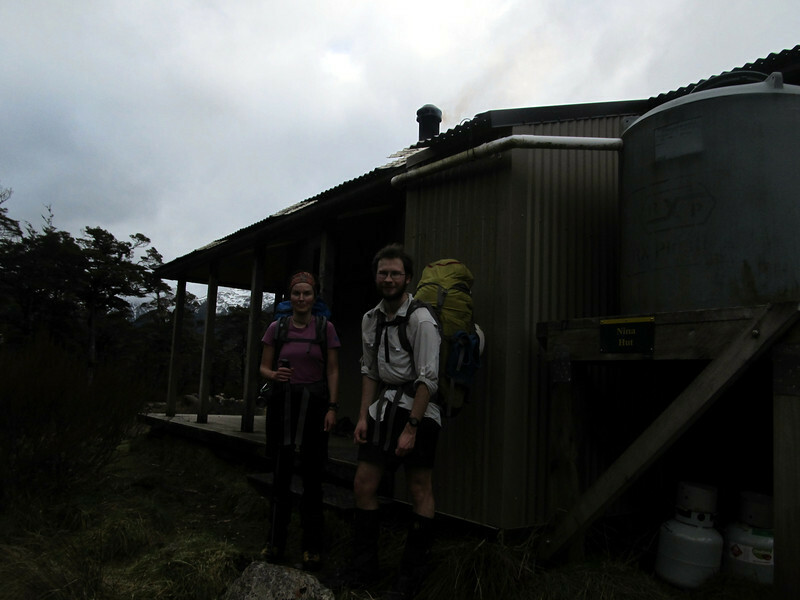 Hell turned out to be quite comfortable including camping on Devilskin Saddle with seven of us plus two trampers squeezing into Devils Den Biv for a cosy and social dinner. Return to our car was made via the Doubtful valley to complete this charming wee loop. Thanks team for keeping the spirit up after and being enthusiastic even about Plan C.
Silvia and James at Nina Hut.